The Firstgrade 340 series use 4” return rollers, 340mm diameter lagged head drum, and are availablein almost any width and length. 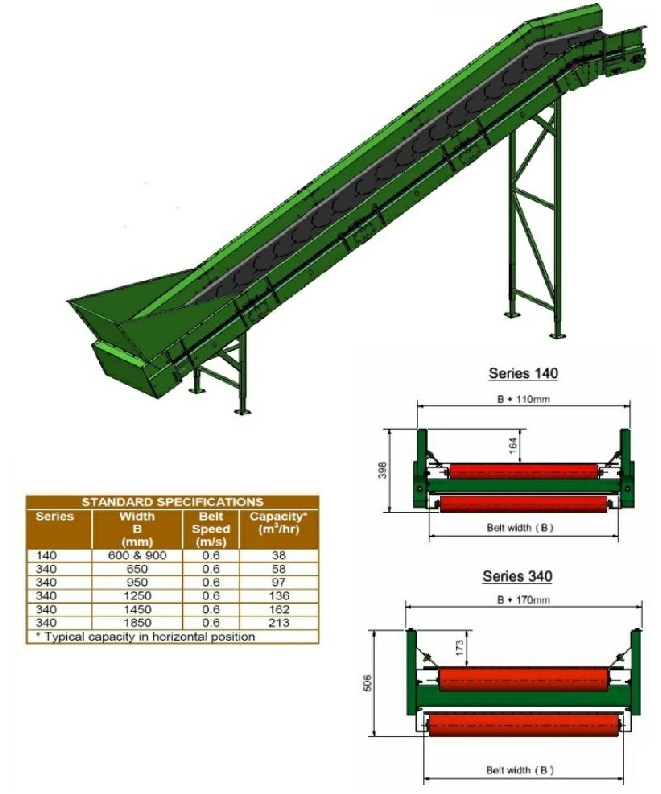 The 140 series are a smaller conveyor for lighter applications or where space is limited. At Firstgrade we aim to produce the best solution for your requirements. All of our machinery is designed and manufactured in the UK. This gives us the flexibility to design individual systems to suit your specific requirements.